Ivan Schlaht says there isn't enough money "in God's green Earth" to cover his losses from a fire that started on CFB Suffield in southeastern Alberta and spread, killing his 98 cattle. He's among the ranchers and farmers still awaiting compensation months after the fire burned 36,500 hectares. Ivan Schlaht says there isn't enough money "in God's green Earth" to cover his losses from a fire that started on CFB Suffield in southeastern Alberta and spread to a nearby pasture, where his 98 cattle were killed. 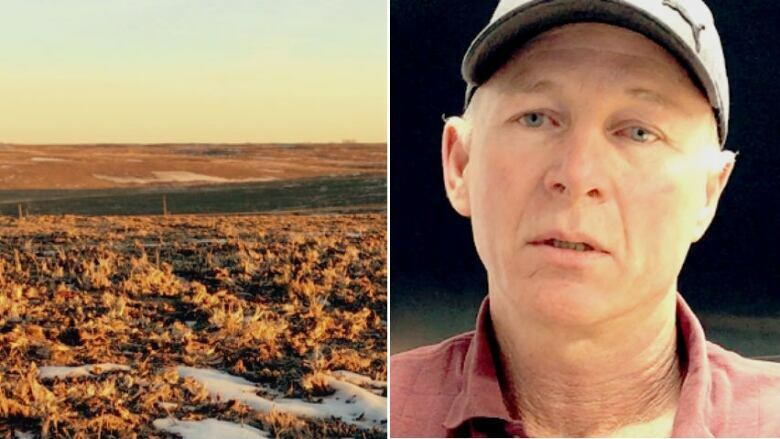 He's just one of the ranchers and farmers still awaiting compensation months after the fire burned an estimated 36,500 hectares — nearly half the size of Calgary — and killed at least 160 cows, according to the Special Areas Board, the rural municipality near the base. The fire started on Sept. 11 when soldiers were blowing up unexploded ordnance on the base, which is the largest military training facility in Canada. A fire ban across most of southern Alberta was in place at the time and the temperature was at least 32 C with moderate west winds. 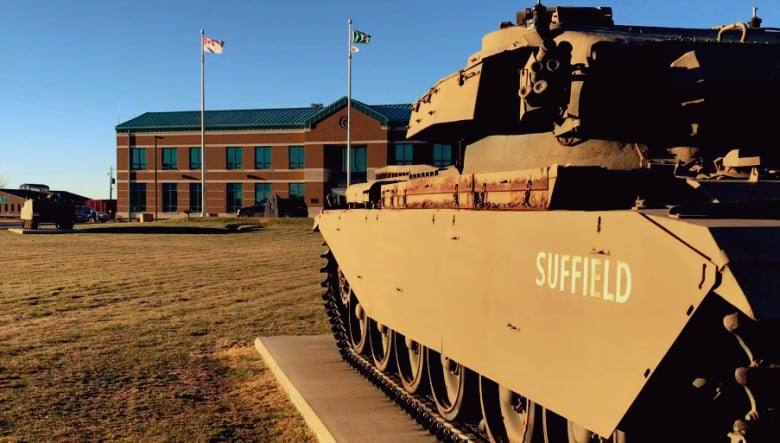 About 6,500 hectares of the affected land were outside the training area, and the flames that spread off the base caused "tragic" results, the commander at CFB Suffield has admitted. "I'm trying to get a handle on what a cow that was burnt, that suffered.… I don't know. I can't get a handle on a price for something like that," said Schlaht. He said it was one of the grossest things he has ever seen. 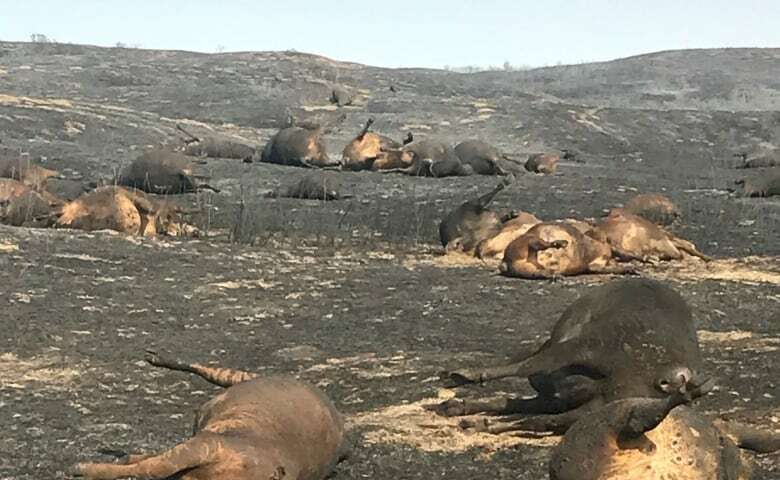 Burned and dead cattle were scattered along blackened hillsides in a rural municipality officially known as Special Areas No. 2, southwest of the tiny community of Bindloss — and near the northeast corner of the military base. The day after the fire, about 20 cattle were still alive but clearly suffering from injuries sustained in the blaze. Schlaht said one of his friends put the animals down for him. "A million dollars still wouldn't cover what I lost because of the anguish the cattle and myself went through," said Schlaht. 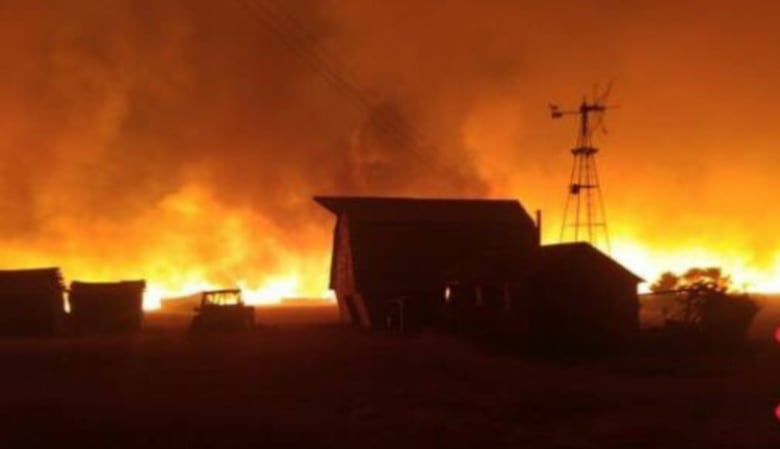 Daryl Swenson said the fire scorched more than 500 hectares of his grass and crop land. He has borrowed at least $60,000 to replenish some of the winter feed that was lost and for materials to start rebuilding the estimated 10 kilometres of fence that was destroyed. 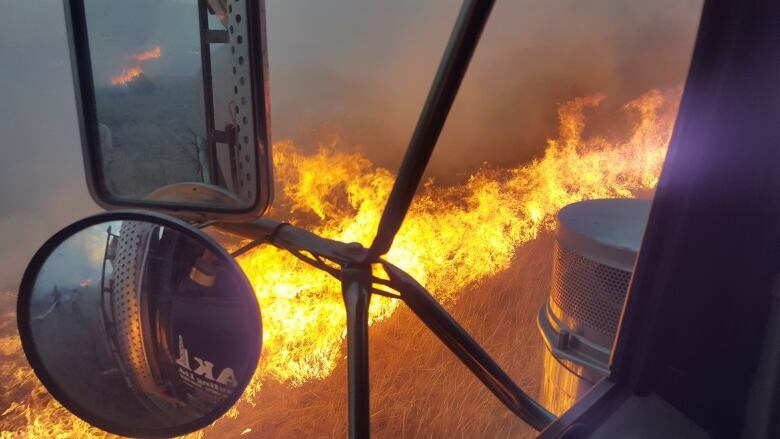 Swenson was not sure how much he would have to spend to repair all the damage because the fire stripped away the grass and crop and left the soil in some places exposed. He said the soil has blown off in some areas. "Top soil is what everything grows on, it's the most valuable resource on the farm. Without top soil, you have nothing." Swenson said people are fed up with the fires that are sparked during training exercises on the base, which stretches across 2,700 square kilometres of prairie, and are growing impatient waiting for attitudes to change. "In the past they have not been good neighbours at all," said Swenson. The concrete steps that led to the front door of Morley Sarvis's home near Bindloss, Alta. The home and several outbuildings were destroyed in the Sept. 11 grass fire. Lt.-Col. Mike Onieu said he personally apologized to people affected by the fire in September and he knows the compensation process is not happening quickly enough. "It's not a fast process and it does take time," said Onieu. "It creates a huge amount of difficulty for people who are trying to pay their bills, get their feed for the season, replace their livestock. Yes, that is difficult." Swenson hopes to see a cheque in the next few months. "If we aren't seeing anything by then, then we're going to start looking at different actions I guess, be it legal or whatever." 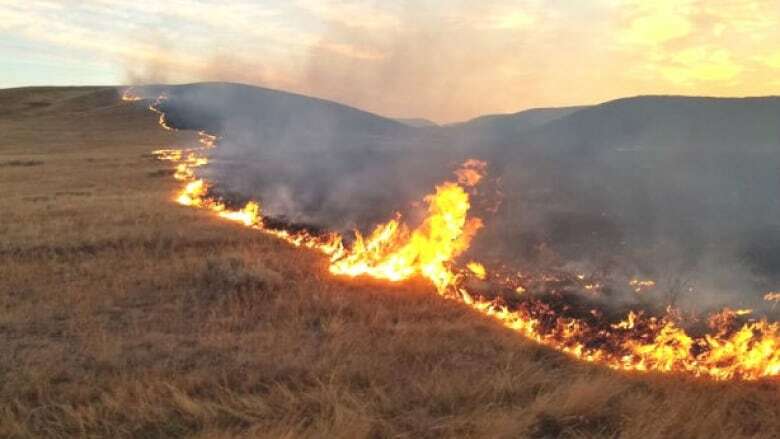 The fire scorched about 4,200 hectares on the Remount community pasture, part of the rural municipality known as Special Areas. The local government stands to lose an estimated $45,000 in lost grazing revenue next year, according to Jordon Christianson, chair of the Special Areas board. The pasture, which contained native grassland, could be off limits for grazing for anywhere from three to seven years, according to rangeland agrologist Amanda Miller. She said it depends on the amount of moisture the area receives over the next few years. "It's absolutely devastating to see these things roll through." The area had been used by more than 900 head of cattle, and ranchers will have to find other areas to graze their cattle. "It's never good to have uncertainly when you're a producer whose livelihood depends on these resources," said Miller. 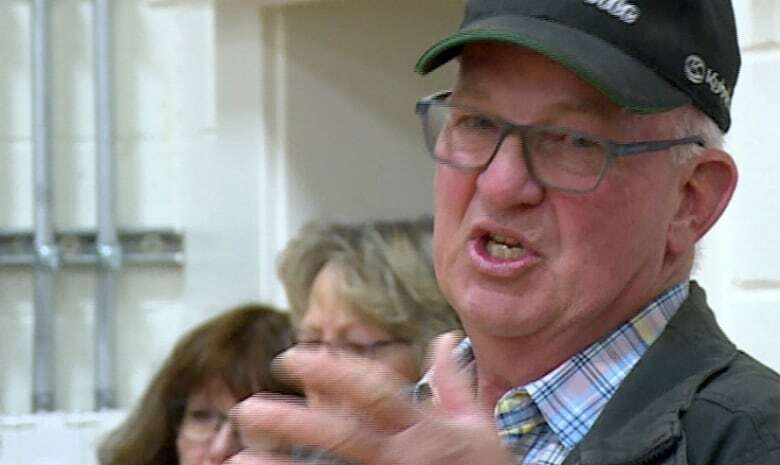 Swenson credited Onieu and other members of the military for meeting with him and other farmers following the fire, but expressed disappointment that the military has yet to send out an insurance adjuster to help calculate their losses. 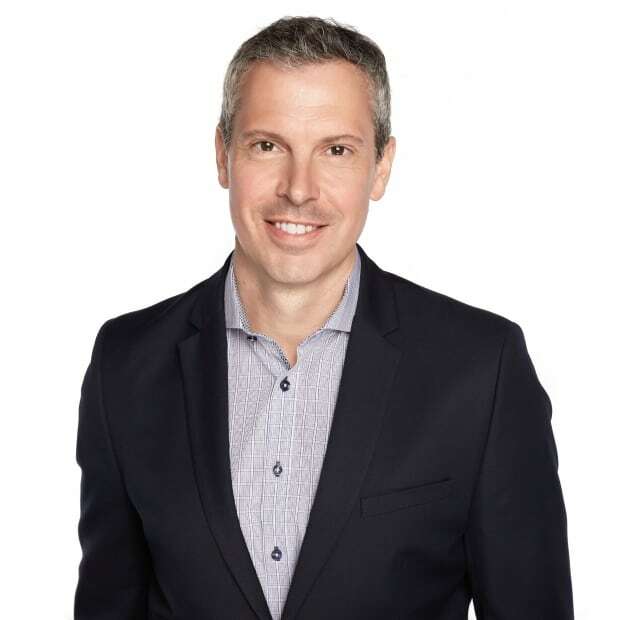 "We've all had a lot of expenses that a lot of us are paying interest on. So we are out that money for that much time. The sooner the better he's out here." Nearby residents have been pushing for a fire guard to be built around some sections of the base's perimeter. Onieu said that while it is a priority for him, it won't be in place next year. He said they have to treat the area where they want to put the fire guard as a mine field. "If it wasn't a live fire range, we could simply just plow the ground from time to time." Onieu said the first step is to do a clearance operation to ensure the area does not contain unexploded ammunition, such as bombs, grenades, mortar rounds or artillery shells — but it's not clear when that work will start. Onieu said it's "very unlikely" the guard will be in place in 2018. Onieu said he has taken over sole authority when approving "fire-producing activities" on the base. He said a firefighter will be hired during "critical fire prone periods of the year," and neighbouring professional and volunteer firefighters may be trained about the hazards of fires on the base. That could allow them access to the base to help fight fires. 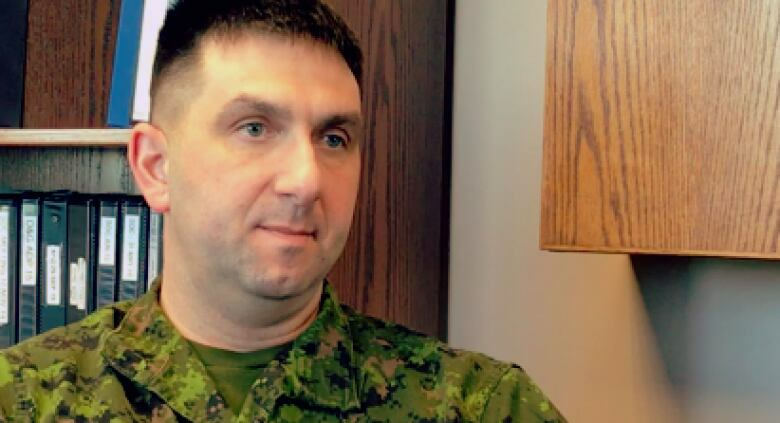 The military's own investigation into the fire, a board of inquiry, was ordered by the 3rd Canadian Division commander, Brig-Gen. Trevor Cadieu. Property owners met individually with members of the board following the fire. Onieu said the base plans to host a "technical briefing" with property owners to discuss some of the findings and possible recommendations in January, although an exact date has not been set.